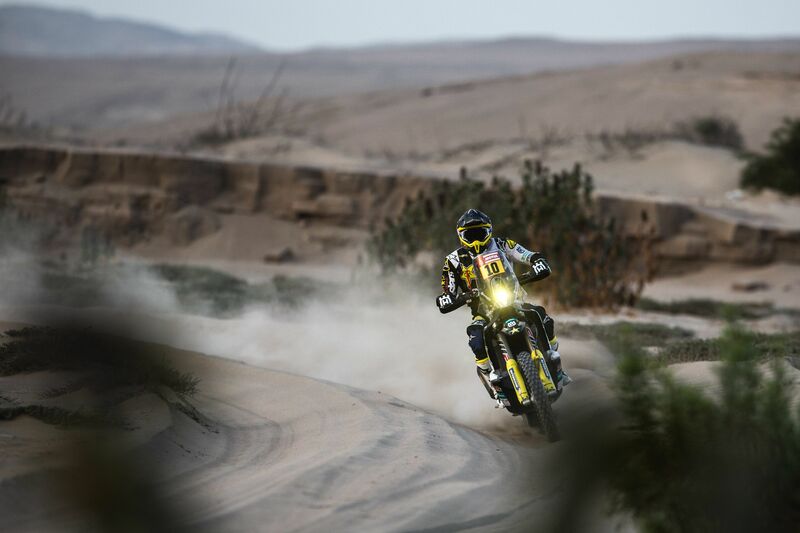 Enjoying a stellar start to his 2018 Dakar Rally adventure, Rockstar Energy Husqvarna Factory Racing’s Pablo Quintanilla made the best of a demanding stage five of the event on Wednesday. Battling his way through a minor technical issue, the two-time Cross-Country Rallies World champion is currently placed ninth in the provisional overall standings with nine more stages still to be contested. The last stage that was contested in the challenging Peruvian dunes, stage five of the 2018 Dakar Rally proved to be taxing for all competitors. Enjoying a steady pace for the most part of the timed special, Pablo came to a standstill just a few kilometres before the finish of the special. Using his experience Pablo was able to fix the issue with his bike and went on to cross the finish line of the special stage in 16th position. Putting in another steady performance today in Peru, Pablo’s Rockstar Energy Husqvarna Factory Racing teammate Andrew Short came home in 23rd position. Continuing to learn and improve as the race goes on, the US racer is currently 23rd in the rally’s provisional overall standings. Tomorrow’s stage six will see competitors leave Peru as they head towards the high altitudes of Bolivia. The stage includes a timed special of 313km and a liaison section of 447km, with competitors finishing the day in the La Paz bivouac.